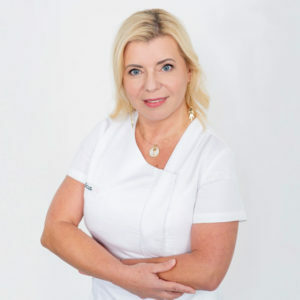 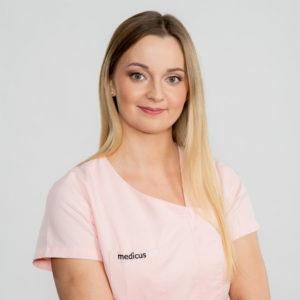 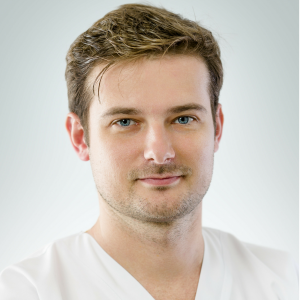 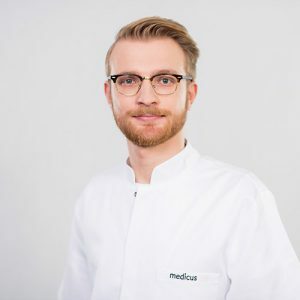 A graduate of the Faculty of Medicine of the Medical University of Łódź and an experienced specialist in dermatology-venereology and aesthetic medicine. 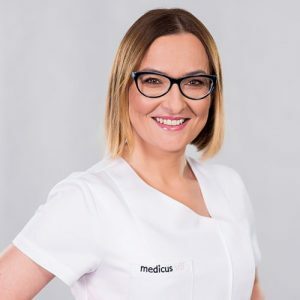 She is also employed at the Department and Clinic of Dermatology, Venereology, and Allergology in Wrocław. 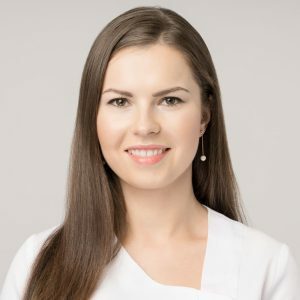 She has broad expertise in the performance of laser procedures including the use of CO2, Er:YAG, Nd:YAG and alexandrite lasers for both therapeutic (dermatology, venereology, and dermatosurgery) and aesthetic purposes. 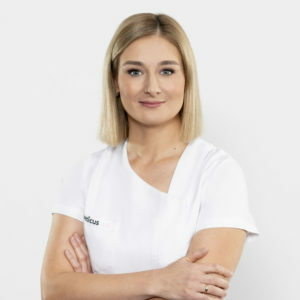 Her interests include the modern ultrasonic anti-aging therapies involving the use of ultrasound, radiofrequency injection, and plasma techniques. 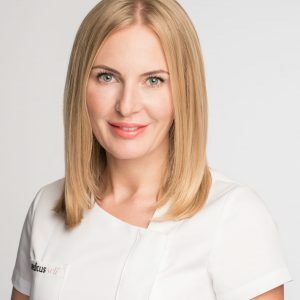 She offers medical peels, mesotherapy, as well as filler, botulinum toxin, and platelet-rich plasma injection. 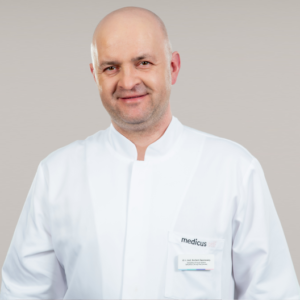 Dr. Lelonek is an active member of the International Society of Dermatology (ISD), European Academy of Dermatology and Venereology (EADV), and the Polish Dermatological Society (PTD). 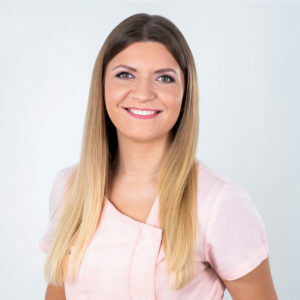 She authored and co-authored numerous scientific papers published both nationally and internationally. 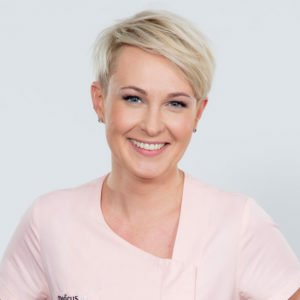 She continuously expands her knowledge and skills by participating in numerous trainings and congresses on dermatology and venereology, dermatosurgery and aesthetic medicine in Poland as well as abroad, e.g. 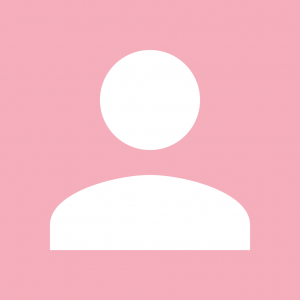 in the US, Argentina, Austria, Spain, Greece, the Netherlands, Belgium, Italy, France, or Germany.